In a first for Indian online shopping, a new e-commerce portal called eBagsfull is going to introduce various e-commerce formats onto one single portal. This unique multi-format start-up will feature formats similar to Flash Sales, Bids, Auctions, eStore etc. The first in line to be launched by the eBagsfull team is a 24hour deals model. 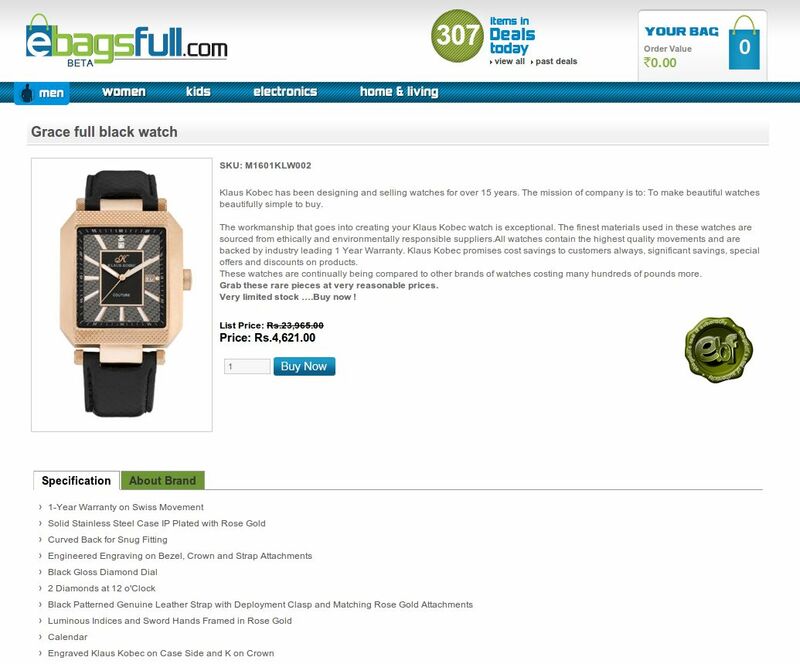 ebagsfull - full on ecommerce store in India; Competition for Flipkart? The 24 hour deals model soon to be launched on eBagsfull would be a little different from other deal sites around. Unlike other sites which provide deals on third party services, this model will concentrate on products starting with 5 categories – Men, Women, Kids, Home & Electronics. The target audience for eBagsfull is the 18-45 age group; and once the initial model kicks off, they will be expanding to include more formats under the website. Interesting, the e-commerce portal has already gotten 13k likes on Facebook, even before officially launching their service. The team has carried out some excellent Facebook advertising, and the content team has been able to drive traffic towards their Facebook page. With such high expectations already set, the start-up has a lot to deliver. It has been able raise about a million dollars to begin with from an undisclosed source, and more funds could come from the same source according to the founders. The team wants to start with a few transactions on their website before approaching more people for funding. eBagsfull has at its helm a team of experienced business persons like Vikas Puri and Neeraj Birdi, the former hailing from a business family and having interest in Real Estate and Chemical Business apart from the e-commerce market in India. Neeraj would on the other hand be handling operations for eBagsfull.